How to watch Monthly Girls' Nozaki Kun: Season 1 (2014) on Netflix Netherlands! Sorry, Monthly Girls' Nozaki Kun: Season 1 is not available on Dutch Netflix, but you can unlock it right now in the Netherlands and start watching! With a few simple steps you can change your Netflix region to a country like Japan and start watching Japanese Netflix, which includes Monthly Girls' Nozaki Kun: Season 1. We'll keep checking Netflix Netherlands for Monthly Girls' Nozaki Kun: Season 1, and this page will be updated with any changes. Monthly Girls' Nozaki Kun: Season 1 is not available in Netherlands BUT it can be unlocked and viewed! Art imitates life when Chiyo discovers her crush is a famous artist who wants to use their budding relationship as inspiration for his romantic manga. A high schooler falls for a manga artist. The affection is mutual, but is she his true love or just a story inspiration? Season 1 of Monthly Girls' Nozaki Kun has 12 episodes. Because different Netflix countries have different availability for episodes, you'll need to check the episode listing below to see which are available in the Netherlands. Sakura finally gathers the courage to confess her love to Nozaki, who's actually a prominent manga artist. He asks her to collaborate with him. 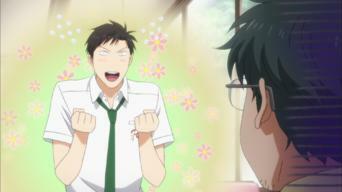 Nozaki introduces Sakura to his friend Mikoshiba, who's a big flirt. Sakura describes a friend of her own for Nozaki to use in the manga. 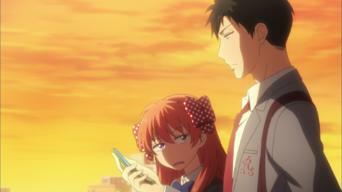 Sakura and Nozaki meet Mikoshiba's friend Kashima, a popular girl. Meanwhile, Sakura tries to discover the identity of the manga's background artist. 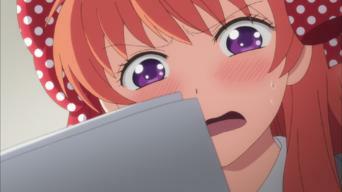 Nozaki and Mikoshiba exhaust themselves working on a new manga. 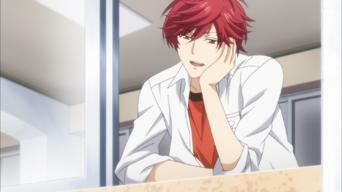 Later, Mikoshiba practices talking to girls to prepare for a mixer. 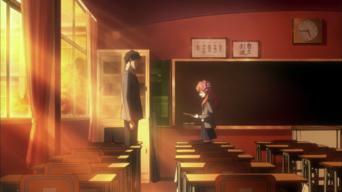 Nozaki tells Sakura about his first agent, who stole his work. 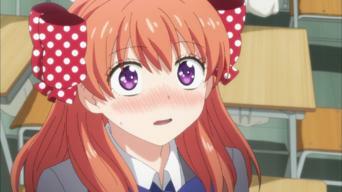 Later, Nozaki spends a day as Mamiko to better understand the character. 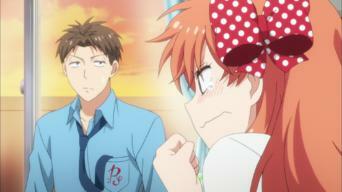 Nozaki helps a friend deal with a girl who's making his life miserable. Later, Sakura, Waka and Hori fill in when a sick Nozaki can't make a deadline. Sakura tries to get Nozaki to forget about work on a rare day off, and Mikorin gets into trouble with Sakura's after-school art club. 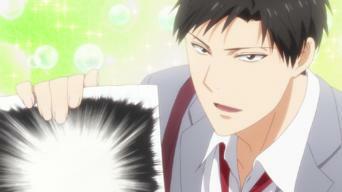 Hori tries to help Nozaki learn how to draw backgrounds. Wearing a bull mask, Kashima carries an exhausted Hori to the nurse's office. 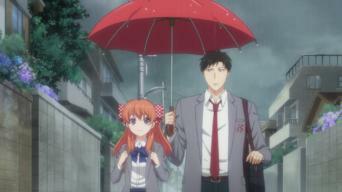 Nozaki gets a romantic idea for the manga when he and Sakura both forget umbrellas. Later, the two help Miyako confront her demanding editor. 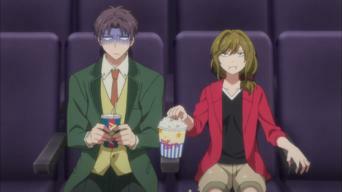 Nozaki sends Wakamatsu and Seo on a date to get new ideas for his characters. Tone-deaf Kashima is helpless when Hori plans to stage a musical. 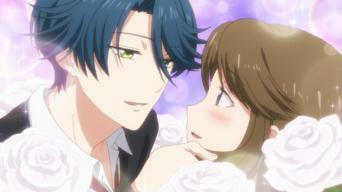 Nozaki plans a series of surprises for Sakura. 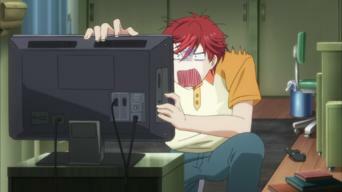 Later, he finds inspiration when Mikoshiba, Hori and Wakamatsu wait out a storm at his apartment. 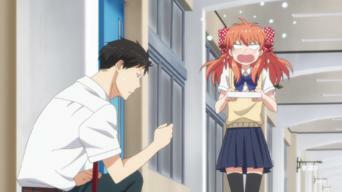 Sakura tries to take her relationship with Nozaki to the next level. Later, a day at a summer festival reminds her of their first meeting.